Subscribe today to BreakDownWay.com, and start learning right away! 15 DAY MONEY BACK GUARANTEE! Subscribe today, and if you are unsatisfied, notify us within 15 days, and we will refund your purchase. • $29.99 per month - access to all of our lessons (with the exception of our Recorded Live Streamed Lessons) immediately PLUS the luxury of emailing your instructors one email per month with questions concerning your lessons. Renewed monthly until canceled. • ONE FREE MONTH! Sign-up for 10 months and get one month free! Access all of our lessons (with the exception of our Recorded Live Streamed Lessons) immediately PLUS the ability to email your instructor. One time charge (no auto renewal). 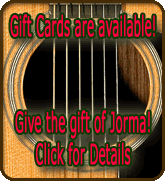 • Purchase a GIFT CARD for a friend or bandmate. Click HERE for more information.